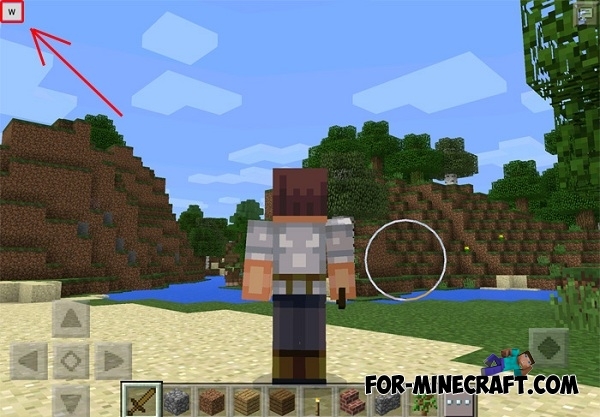 Warp mod adds a new feature in Minecraft Pocket Edition 0.14 with which you can quickly teleport to different places. To teleport you need to direct your gaze in the right direction. Then click on the button which is located in the upper left corner of the screen. After that, you teleport to your destination and not get damage! Select «ModPE scripts» section and click on the "Add"